It’s 2016 and I’m starting the new year with a Giveaway but I need your help. Once I get to 1700 Instagram followers I’ll be giving away some goodies from my shop. For every thousand followers I get, I’ll hold another giveaway. 1) Repost this photo to Instagram. 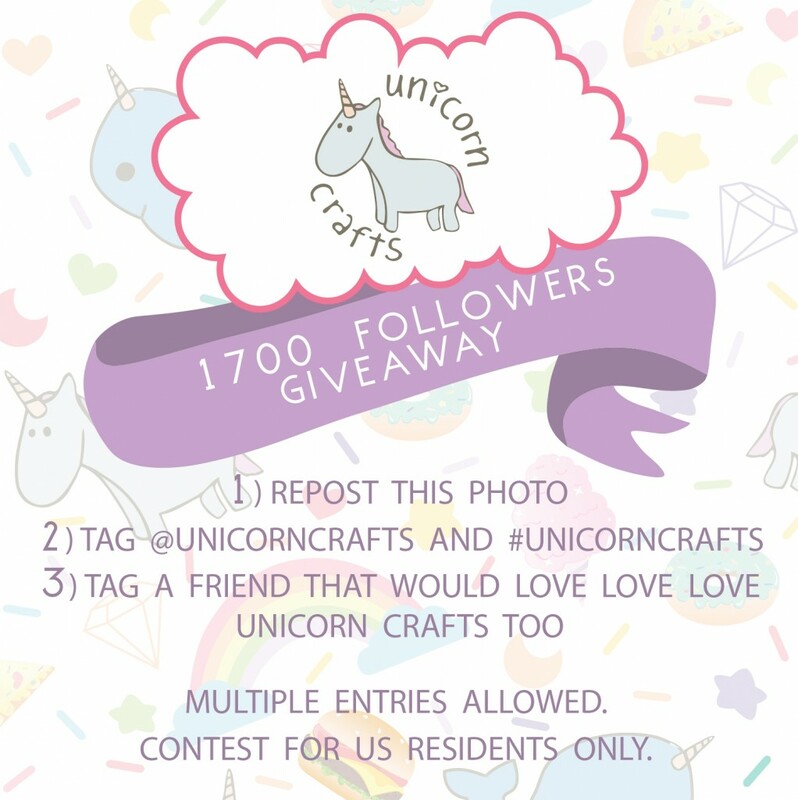 2) Tag @unicorncrafts, #unicorncrafts and friend that would love love love Unicorn Crafts. Multiple entries allowed. Once I get to 1700 I’ll announce the winner. Contest for US residents only.